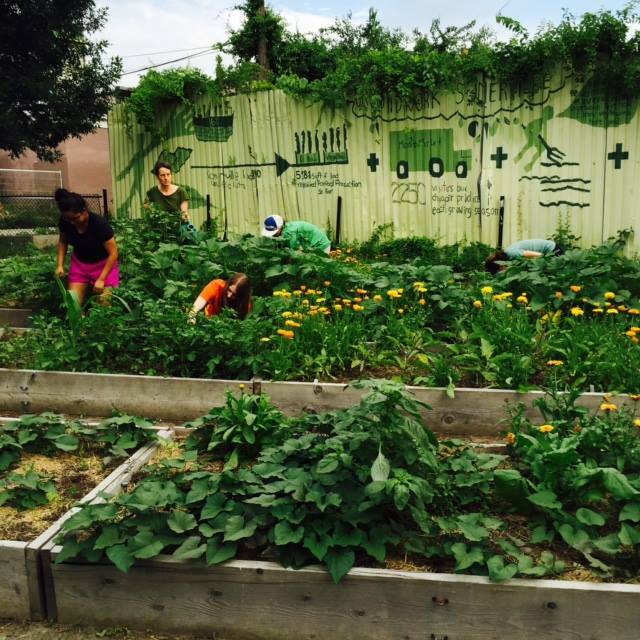 Groundwork Somerville is committed to creating a more just and sustainable food system. We believe that a healthy food system is essential for the health of individuals in our community, as well as our environment. In 2011 Groundwork Somerville launched the ambitious Urban Agriculture Initiative to create Somerville’s first urban farm, and grow affordable, healthy produce for the Mobile Farmers Market and Project Soup. The idea was to increase green and growing space in the densest city in New England while addressing issues of health and race inequity and their intersection with food access and environmental justice. Learn more about our World Crops Program here. At the same time we are encouraging urban residents to discover the wonders of at-home vermicomposting, fostering our native pollinators, and one of our regions greatest food traditions — maple sugaring: three ways to bring the romance of the farm into your city yard, porch or kitchen!